Any job site in America with rebar installed in a vertical design must use rebar safety caps to prevent impalement from falls near the rebar installation site. OSHA safety rebar caps by Paragon Products is a division of Lomont Molding, Inc. and specializes in concrete accessories like the rebar bender cutters and caps we offer at ConstructionComplete.com. Paragon high quality concrete rebar caps are used in commercial, highway and pre-cast construction markets. Read More Paragon manufactures rebar caps and chairs 24 hours a day, seven days a week. 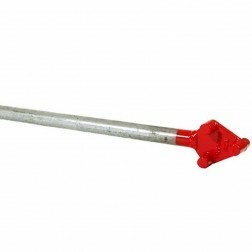 Most construction sites require the right rebar tools and equipment for proper installation. Browse electric rebar benders for sale below. 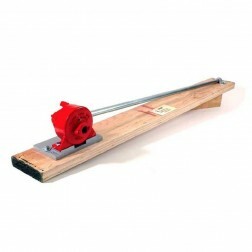 An electric rebar bender cutter can be used both indoors and outdoors on rebar. 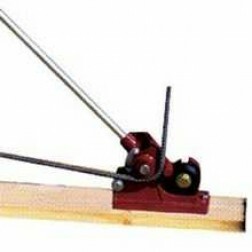 If you are bending rebar, you would use a rebar bender to push the rebar in a desired turn around a rolling pivot on the table. 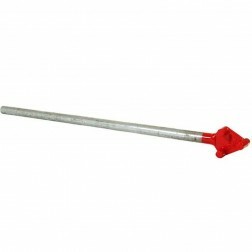 With this tool you can create 0 to 180 degree bends, stirrups, and even spirals with no problem. A foot pedal is offered on most brands freeing up your hands to control the steel while still engaging the machine. New machines to the industry include rebar straightners and pullers. These new style machines are great for fixing errors or repairing sections. Rebar tools like a puller are great even if your rebar is already formed in a wall and you still need to bend it. Concrete rebar is very hard steel; even epoxy coated rebar is no match for these machines, it will slice right through them! At ConstructionComplete.com we pride ourselves in carrying major brands like Benner Nawman, Eze Bend, Hit tools, and Cleform Gilson. This vast grouping of brands helps us offer hydraulic powered, manually powered, electric powered and even battery powered machines at a great price. 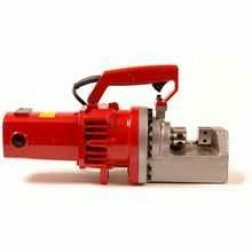 Rebar cutter replacement jaws are available. 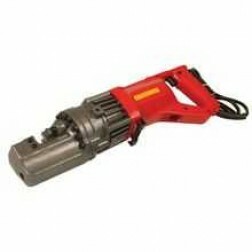 The life of these electric rebar cutters is based upon the amount of use. They are made of harden steel and can last many years.